brownie stuffed Christmas trees & a giveaway! 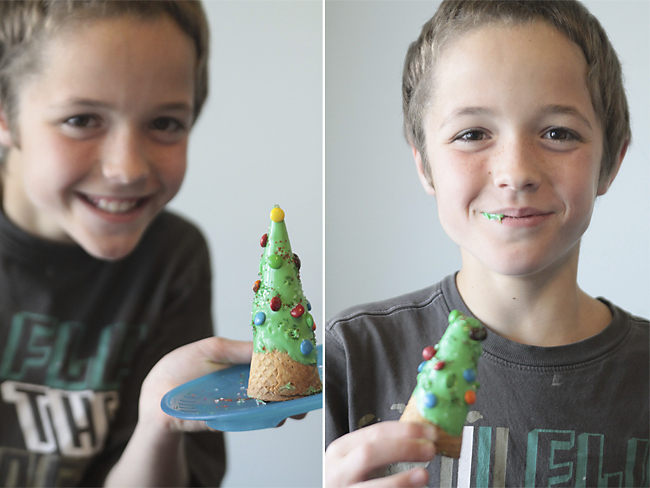 These Christmas trees, made from ice cream cones and hiding a brownie inside, are super easy to make and decorate! They’re pretty enough to make an appearance at an adult holiday bash – they could even act as the centerpiece. They’d work well at a family party, too – you can let each child assemble their own Christmas trees, which they’ll love. My kids had a blast, and even my 5 year old was able to decorate one all by himself. The trees are made by baking brownie mix inside pointed ice cream cones. To bake the brownie trees, you’ll want to grab a foil casserole dish from the dollar store and use a sharp knife to poke 12 X shapes into the bottom. Place the casserole dish upside down on a cookie sheet, and gently press an ice cream cone into each X (turning the cones as you press down). The cones will break if you push hard, so go slow. Once the cones are all set, you can fill them brownie mix. I spooned the mix into a ziplock bag, snipped off a corner, and “piped” the brownie mix in. Be sure not to fill the cones all the way or they’ll completely overflow (I left about an inch of room at the top). NOTE: Use a brownie mix made for a 9×13 size pan and mix as directed on the box – you will have some left over after filling all 12 cones. Slice any brownie that puffed up over the top of the cone off to make a flat surface so the “tree” will stand up. Use food coloring to color a tub of vanilla frosting green, then microwave it for a few seconds at a time until it’s slightly runny. 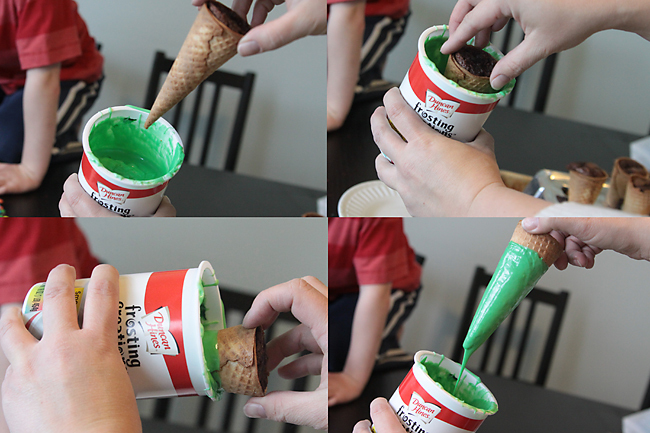 Dip each cone into the frosting, rotating it to get it completely covered. Pull the cone out and let the extra frosting drip off, then place the cone on a plate and decorate with colored sugar, coconut flakes, and candy. NOTE: if the frosting is so runny that not much of it sticks to the cones, let it set up for a few minutes and dip them again. Easy and adorable, right? LOVE these festive trees! 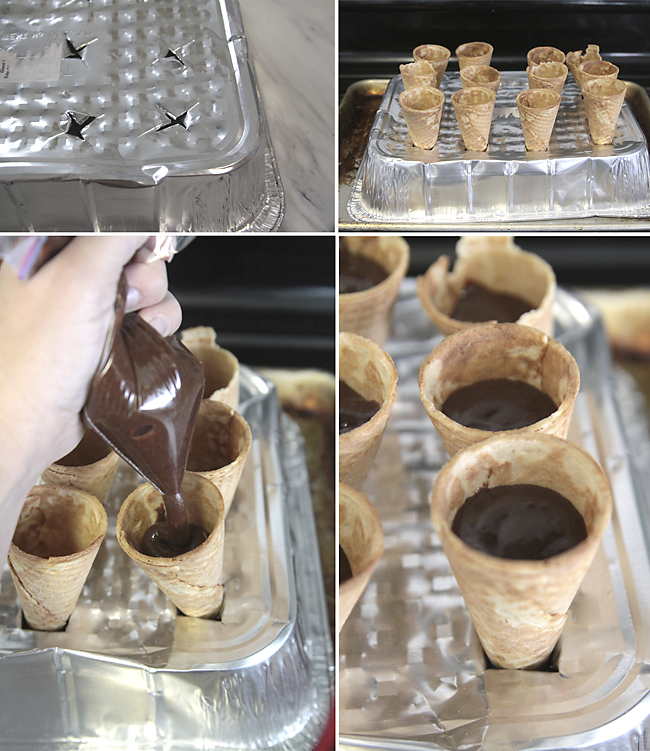 What a genius idea to bake the brownies inside ice cream cones!!! So so cute!! My kids will love these! 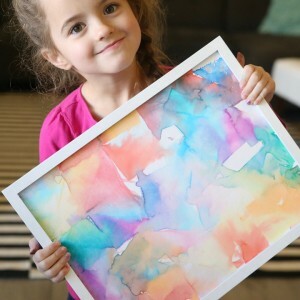 What a stinking cute idea!! That is an absolutely brilliant idea. My kids would love to fill and decorate these with me. 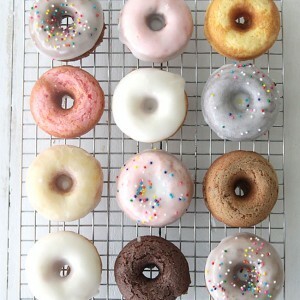 Can you suggest a recipe for the frosting…we don’t have store bought frostings like that where we are. THX. One such gift could be a personalised photo album of the child. And even though that “something” is and always will remain hidden, it is equally available to non-Masons. So excited to try these for my daughter’s classroom party! 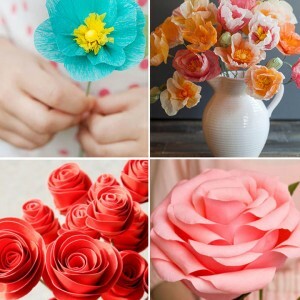 Although this looks super cute and easy, this was a major Pinterest fail for me 🙁 I didn’t pay attention to the cones I bought…be sure to buy the same type of cones shown above. I bought waffle cones, but they had uneven bases and when I baked them in the oven, they burned and contorted into weird shapes! Next time I’ll try different cones! Major Pinteresr fail for me! Be sure to properly secure the cones in the tin, or they will fall over during baking. I’m so thankful I had a cookie sheet underneath! amazing idea…just a quick question? how can we store them?? The dollar tree sells roaster/baker pans with clear plastic lids that are tall enough to stand them up and have a lid over them! I am disappointed. I tried making these and the aluminum pan caved in in spots leaving the cones in a tilted position. 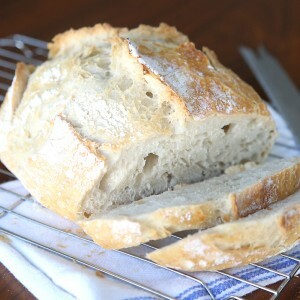 I won’t do these again until I have the right baking pan (have seen online). Failed twice! Cones would not stay upright. So frustrating. Oh well.